After West Ham United’s victory over Manchester City there are no unbeaten teams left in the Barclays Premier League. Manchester United moved up to second in the table, while Tottenham Hotspur grabbed their first home win of the season. 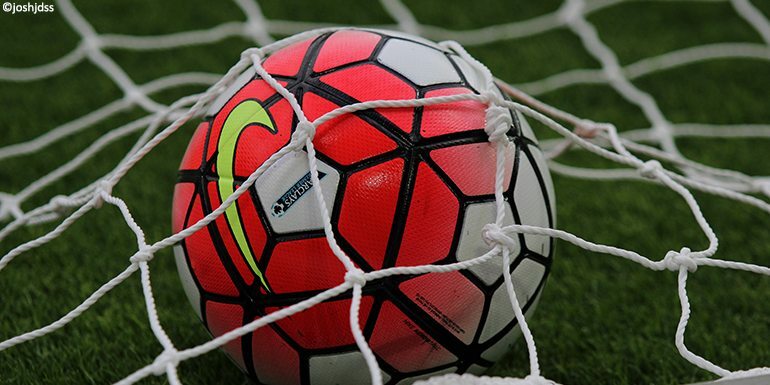 Football hospitality packages for the 2015/16 Premier League season are now on sale. Experience our football hospitality packages available at Chelsea FC, Manchester United and Liverpool FC. Manchester United grabbed a vital three points as the beat Southampton 3-2 at St Marys Stadium on Sunday afternoon. After a brilliant 3-1 win over Liverpool, Louis Van Gaal welcomed Wayne Rooney back to the starting line-up and also handed a full league debut to Anthony Martial. It was the hosts who made the brightest start and they were ahead after 13 minutes when Graziano Pelle converted from close range after David De Gea’s save. Manchester United were level after 34 minutes as Martial showed great composure to place the ball into the bottom corner after the ball dropped to him in the box. Martial then put United ahead in the 50th minute, the French forward pounced onto a loose back pass and slid the ball past the keeper with a classy finish. In the 68th minute Juan Mata moved the visitors further ahead, he smashed the ball home after Memphis Depay’s shot hit the post. Pelle grabbed a goal back for the Saints, but Van Gaal’s men held on and moved into second place. Manchester United have the chance to go top of the table when they take on Sunderland at Old Trafford on Saturday. We are delighted to offer official Manchester United hospitality packages for this huge game. Chelsea FC got their season back on track with a 2-0 over London rivals Arsenal on Saturday. The Blues had several shots on goal in the opening half without really troubling Petr Cech, but seconds before the break the game burst into life. The controversial Diego Costa endured a lengthy spat with Laurent Koscielny and hit the face of the defender three times. Arsenal defender Gabriel became involved and kicked out at Costa and saw a red card for his actions. It didn’t take Chelsea FC long to establish a lead, Cesc Fabregas clipped a free-kick into the box and Kurt Zouma rose highest in the box to head home. Arsenal’s afternoon went from bad to worse as Santi Cazorla saw red for a challenge on Fabregas. In the dying minutes of the game Eden Hazrad’s deflected shot found its way into the net and Chelsea secured all three points. Chelsea FC hospitality packages available for the next game at Stamford Bridge against Southampton on Saturday 3rd October. Liverpool FC will rue missed chances as they drew 1-1 with Norwich at Anfield on Sunday. Liverpool FC hospitality guests were delighted to see Daniel Sturridge return to the starting line-up after a long spell on the sidelines. After a quiet first half Christian Benteke was replaced by Danny Ings due to an injury. It didn’t take Ings long to make an impact, he raced on to a through ball and calmly slid the ball past the onrushing John Ruddy. But Liverpool FC couldn’t make all their possession and chances count. In the 61st minute Simon Mingolet was unable to deal with a corner and Russell Martin clipped a lovely effort over the keeper. Philippe Coutinho had a chance to wrap up the three points but he couldn’t convert his one on one. Brendan Rodgers side were left frustrated by the result but they know they have a chance to get back on track when they take on Aston Villa on Saturday in front of a packed Anfield crowd including Liverpool FC hospitality guests. Our football hospitality packages offer the very best official match day experience at the best Premier League grounds. Don’t miss out on our fantastic football hospitality packages.